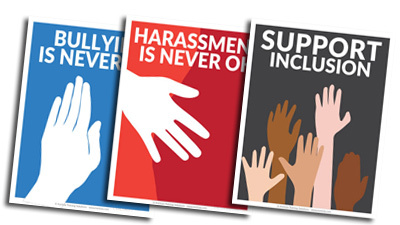 Stick these high-quality stickers any place you want to remind people: Bullying is Never OK, Harassment is Never OK, and We Support Inclusion! Great for giveaways, office prizes, and more. 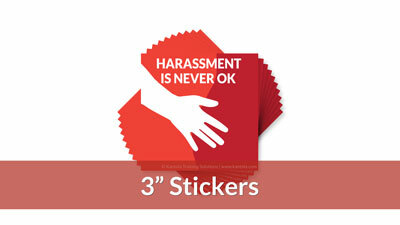 Place these high-quality stickers any place you want to remind people: Harassment is Never OK! Great for giveaways, office prizes, and more. 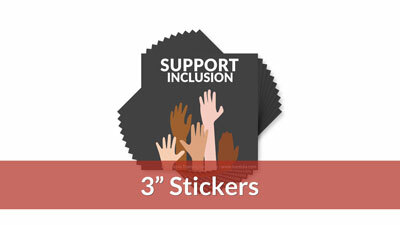 Stick these high-quality stickers any place you want to remind people: We Support Inclusion! Great for giveaways, office prizes, and more. 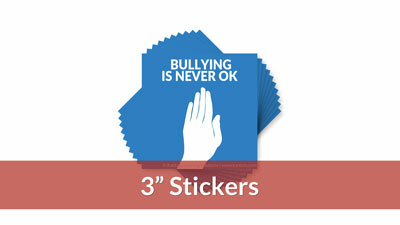 Stick these high-quality stickers any place you want to remind people: Bullying is Never OK! Great for giveaways, office prizes, and more. For the most effective training, provide each trainee with a study guide that includes a review of the program content, a pre-test, discussion questions, exercises, and post-test. This trainer's guide provides useful materials featuring the participants study guide sample, plus training tools and extra content for trainers. For the most effective training, provide each trainee with study guide that includes a review of the program content, a pre-test, discussion questions, excercises, and post-test. This 30-page booklet reinforces the definitions and topics covered in the video. Get examples of workplace harassment and learn to recognize if your behavior is inappropriate. Includes discussion questions.